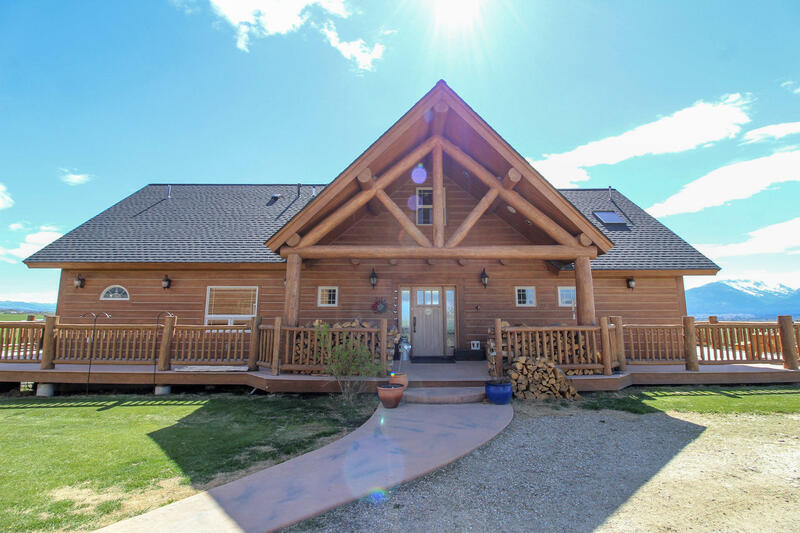 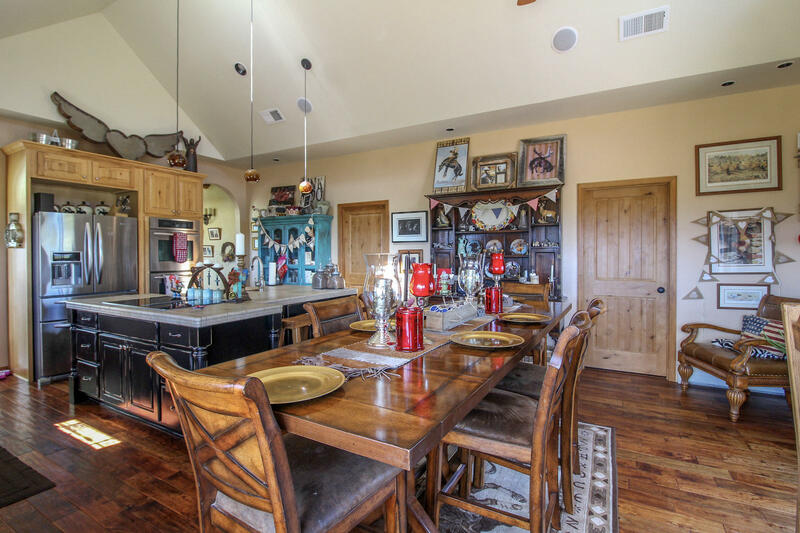 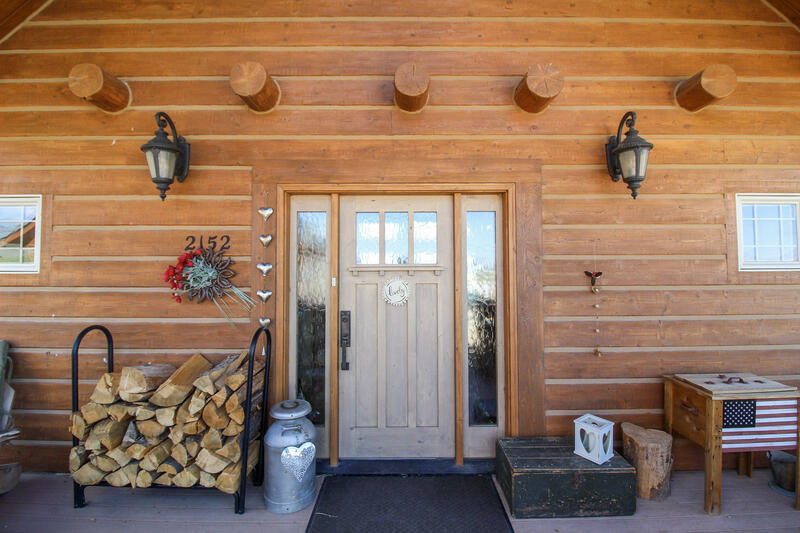 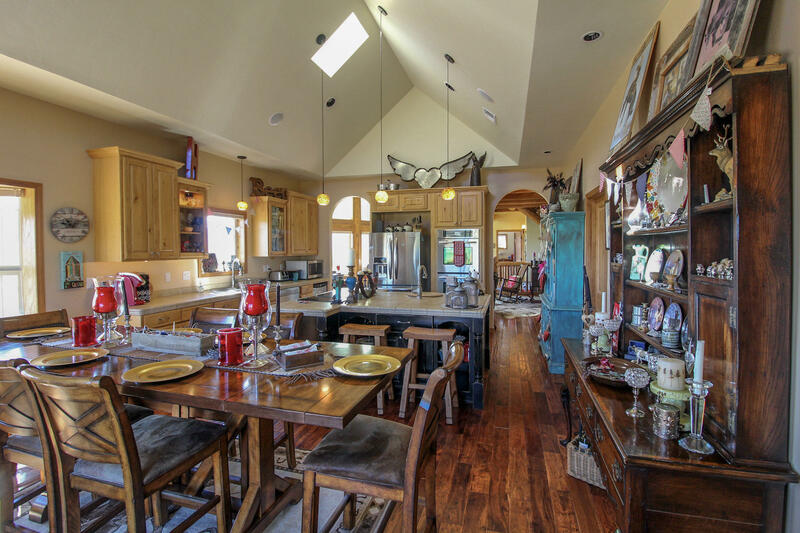 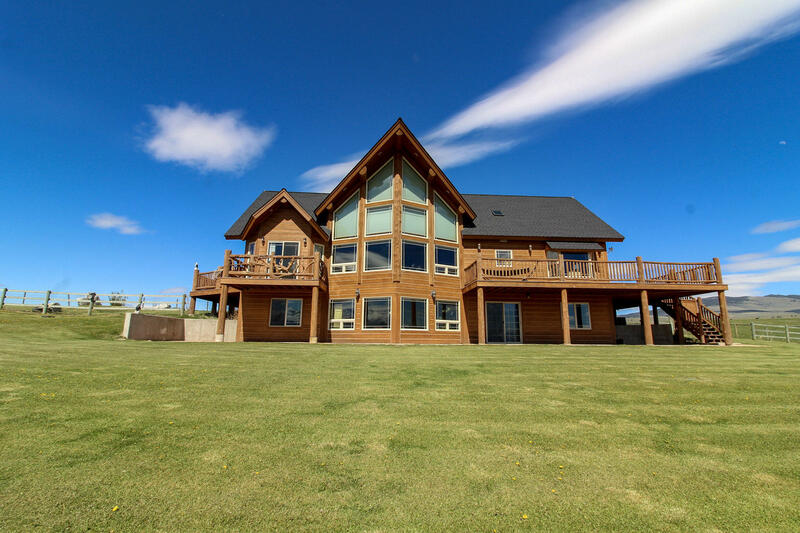 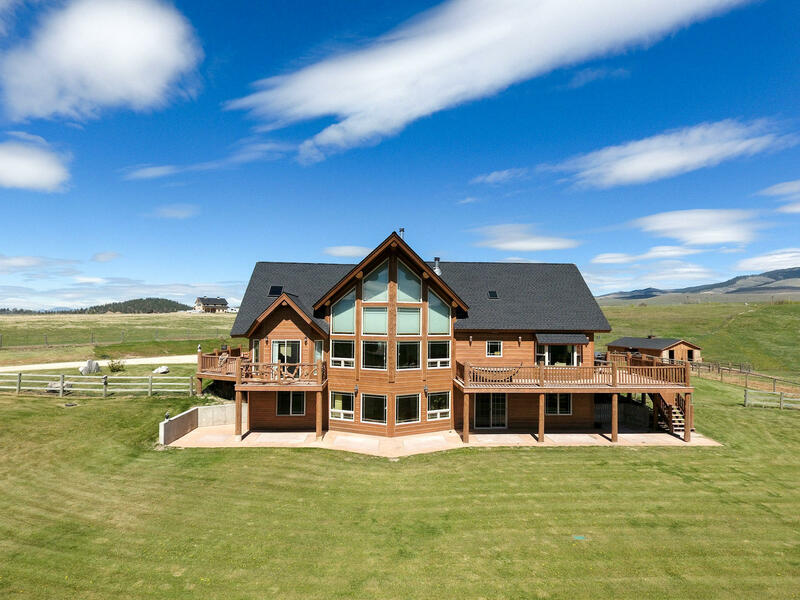 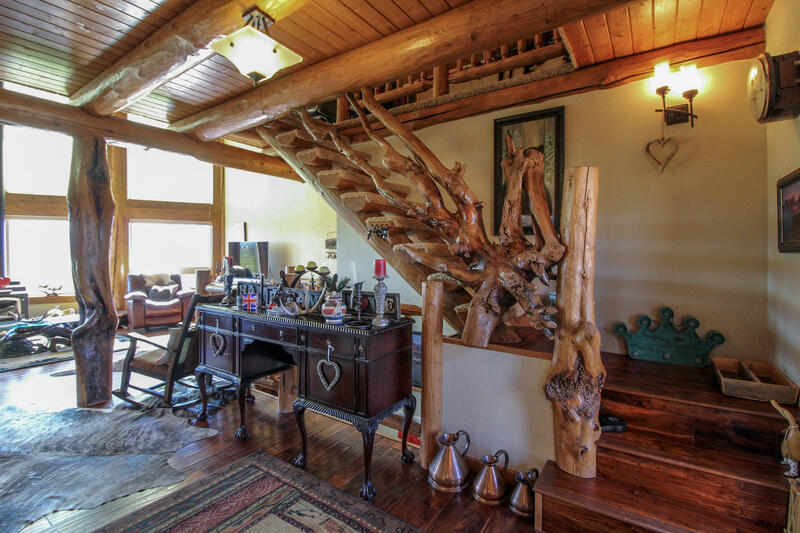 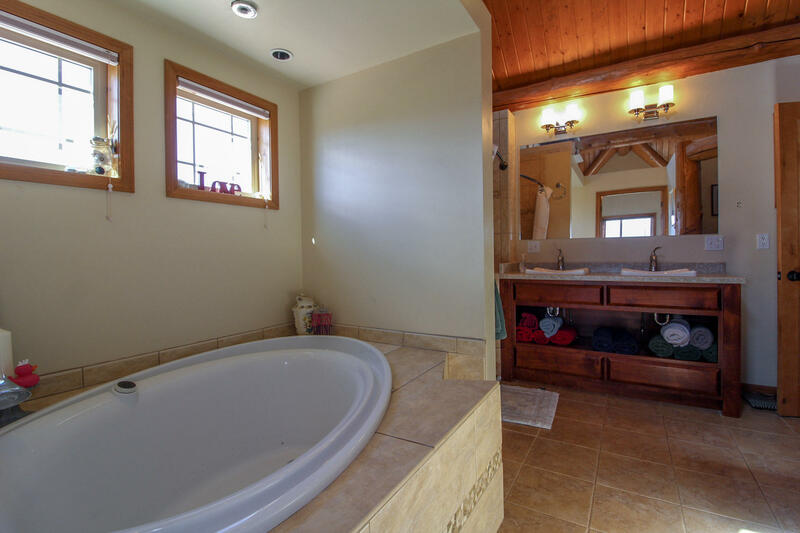 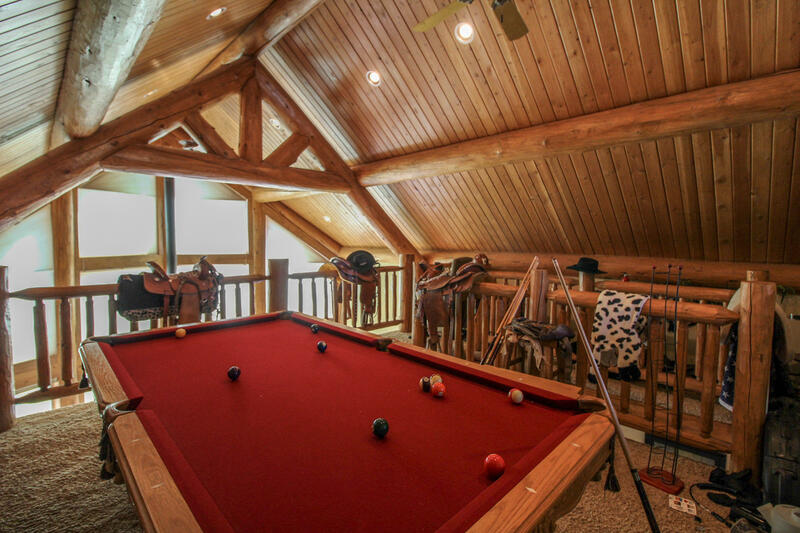 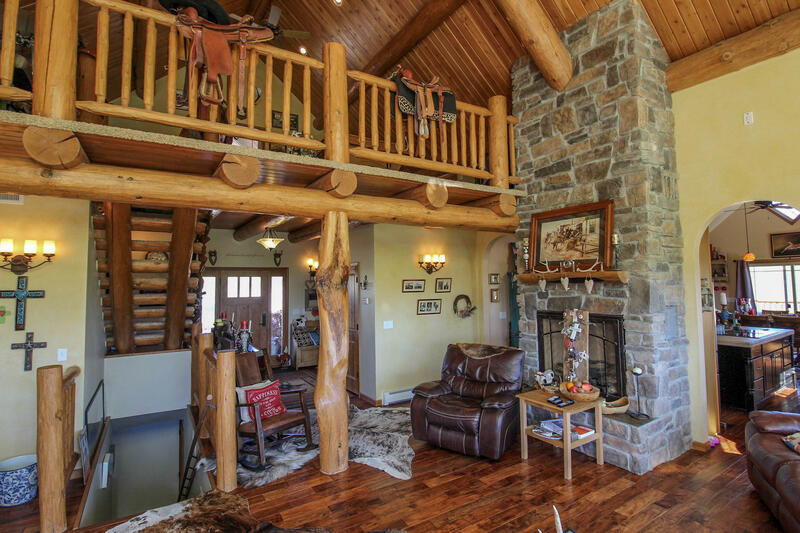 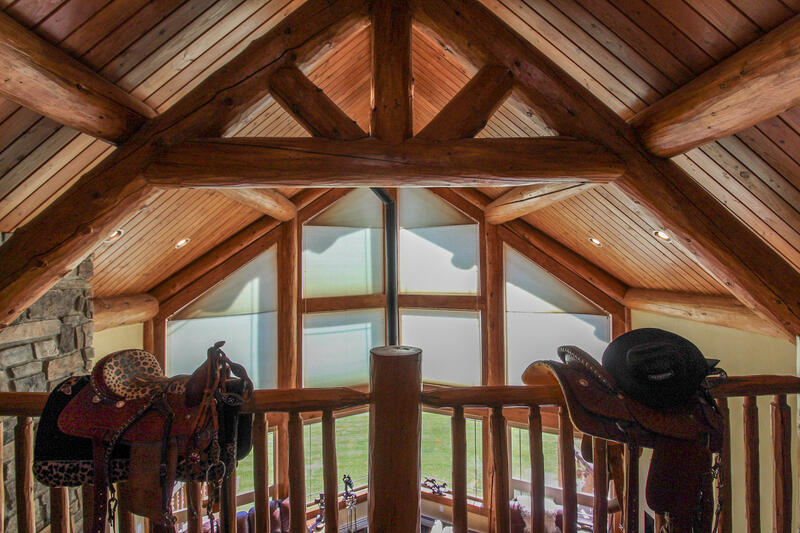 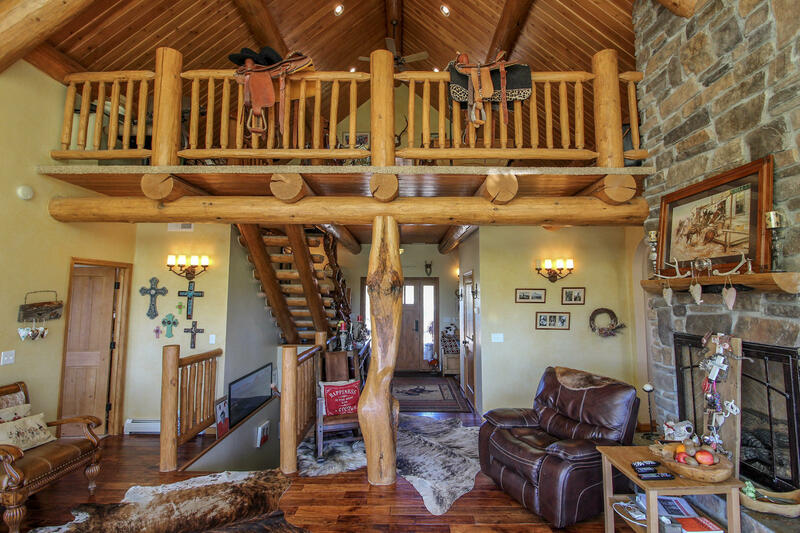 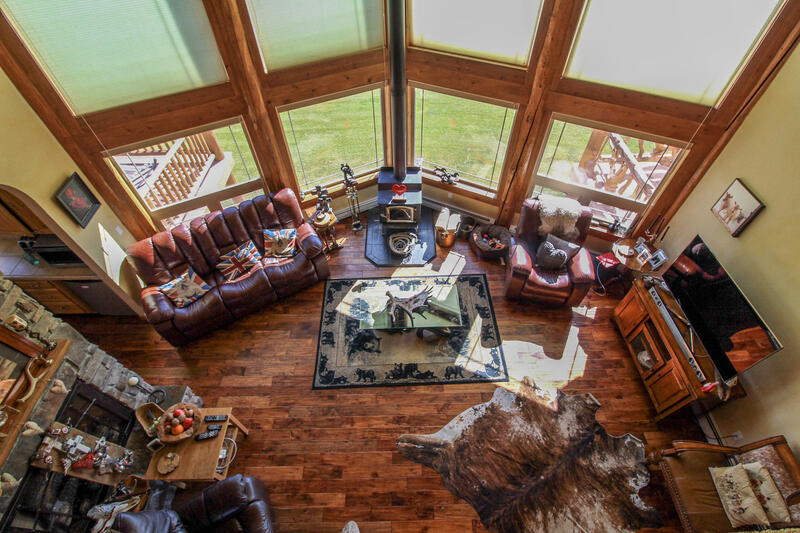 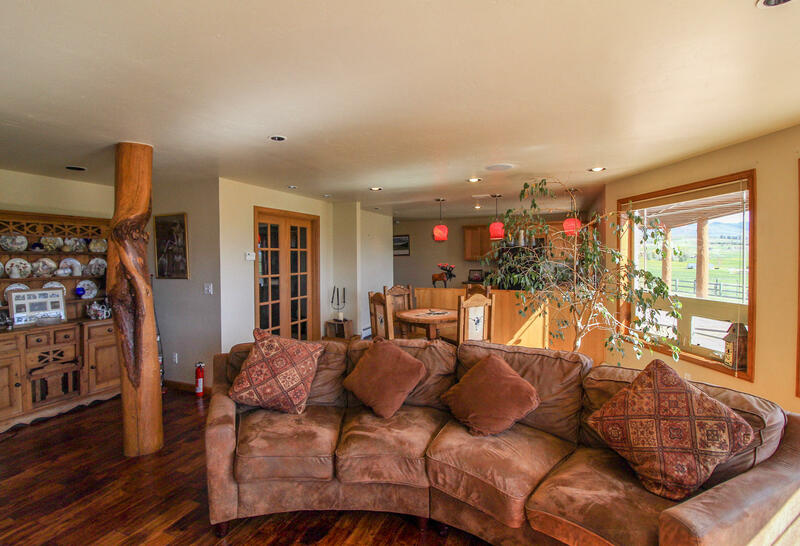 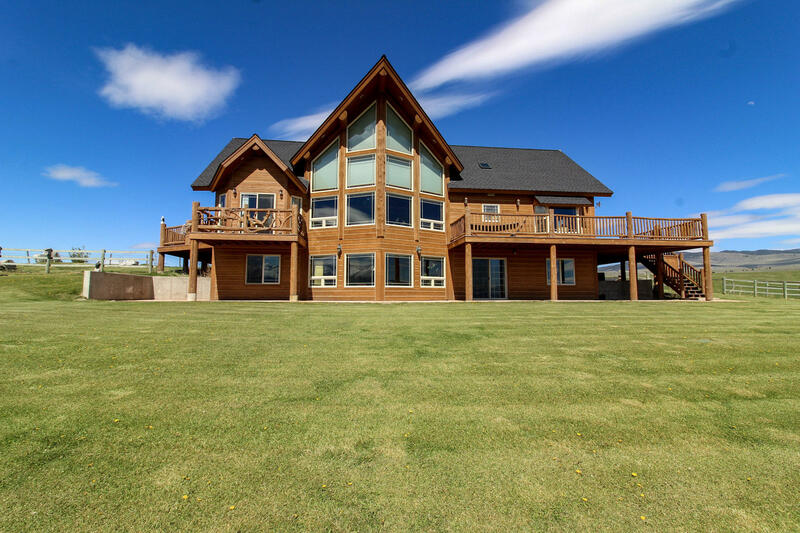 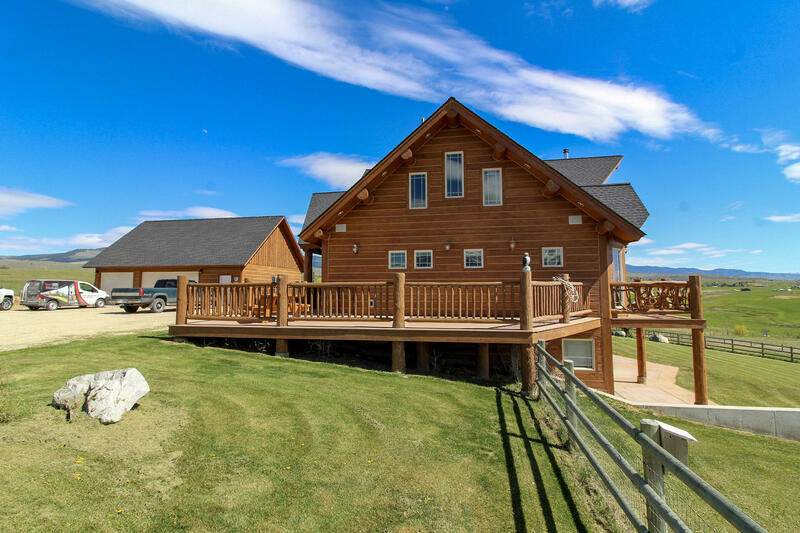 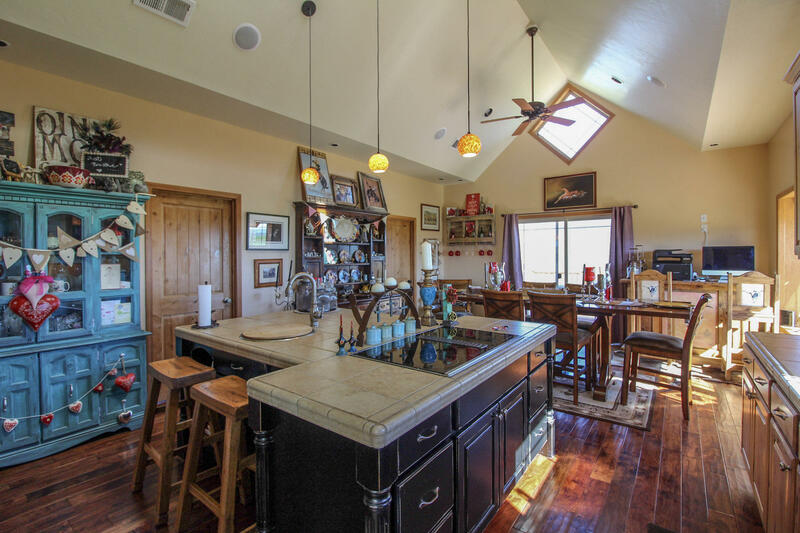 This stunning log-sided home is beautifully placed on 10 acres. 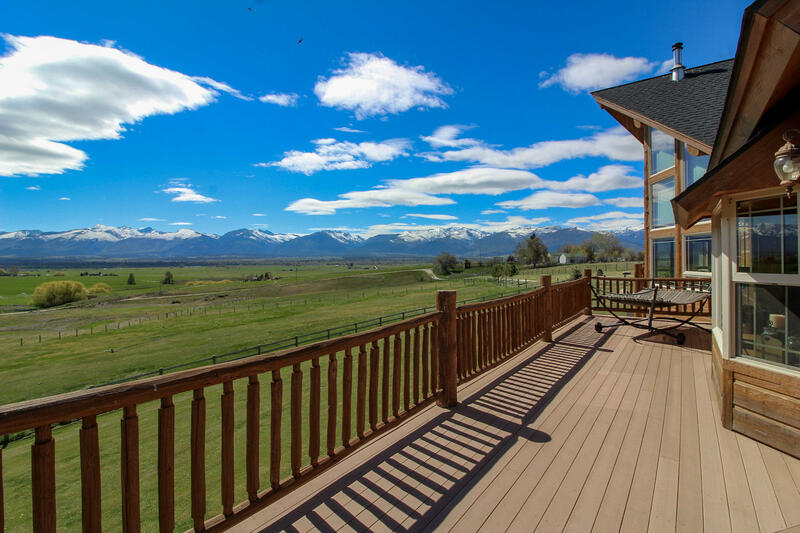 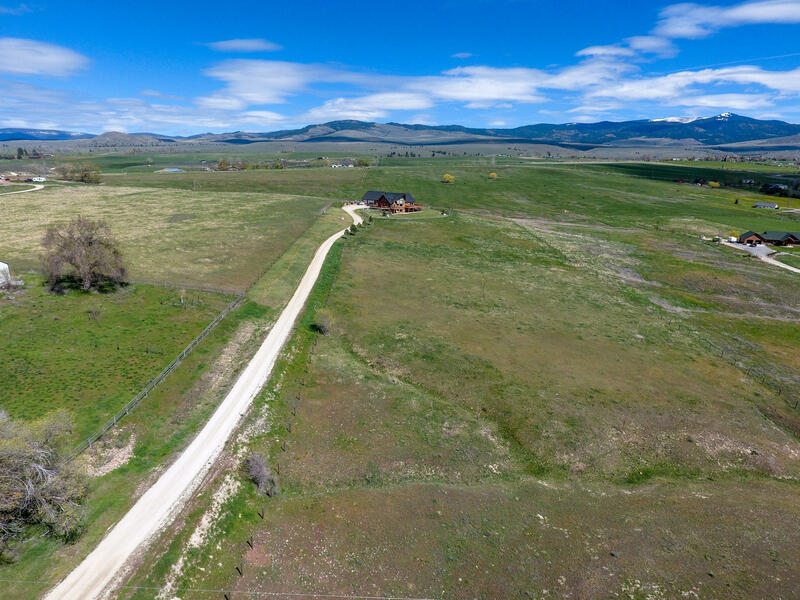 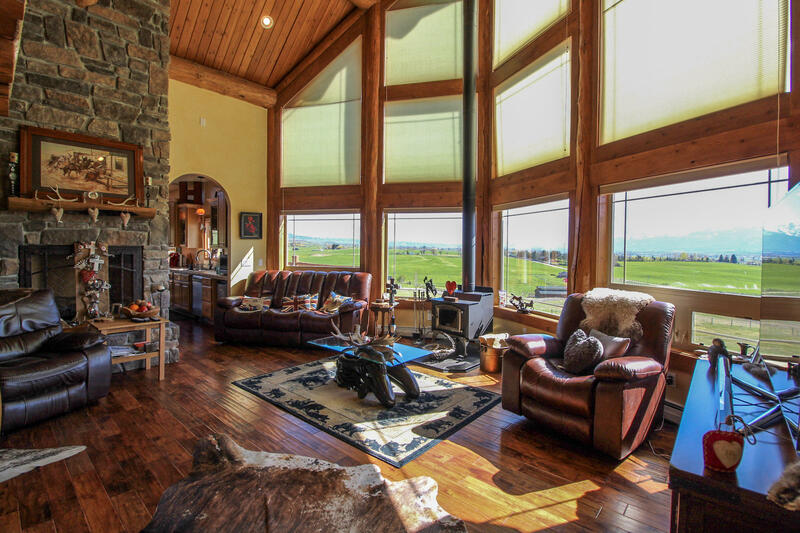 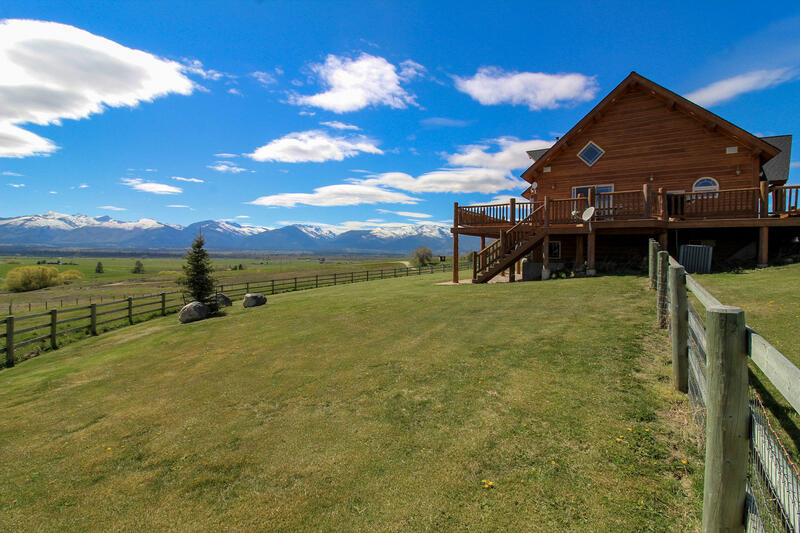 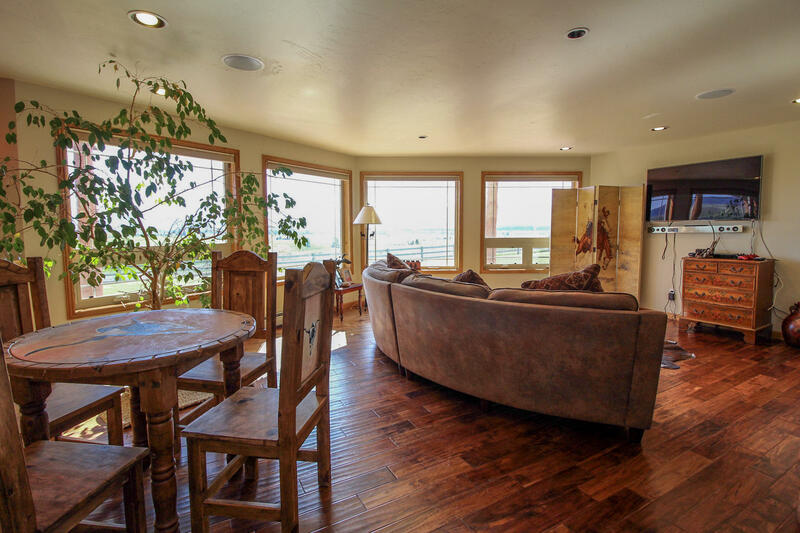 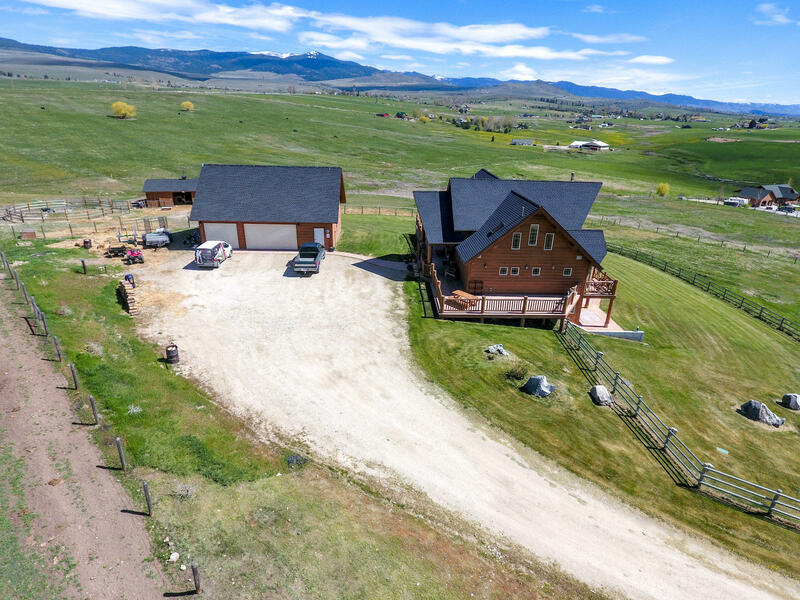 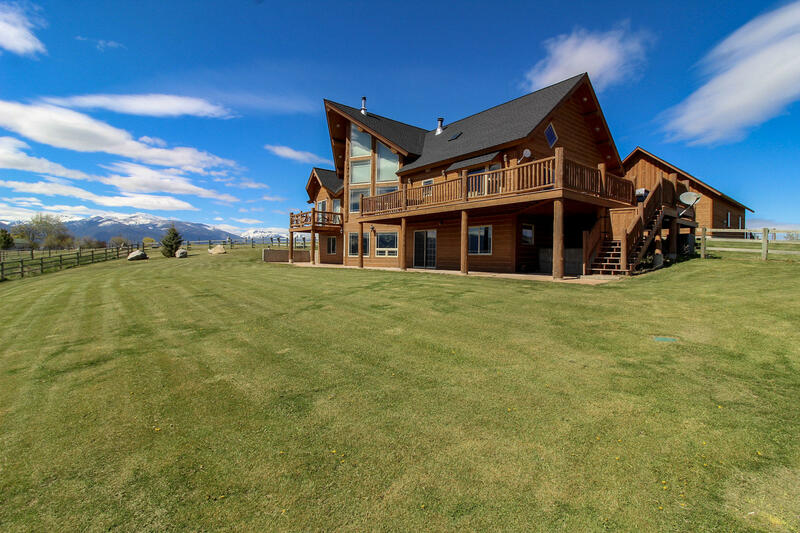 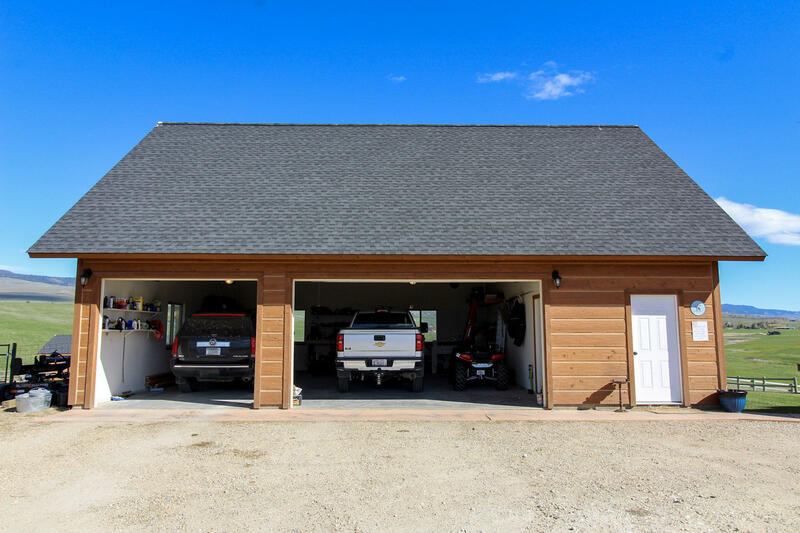 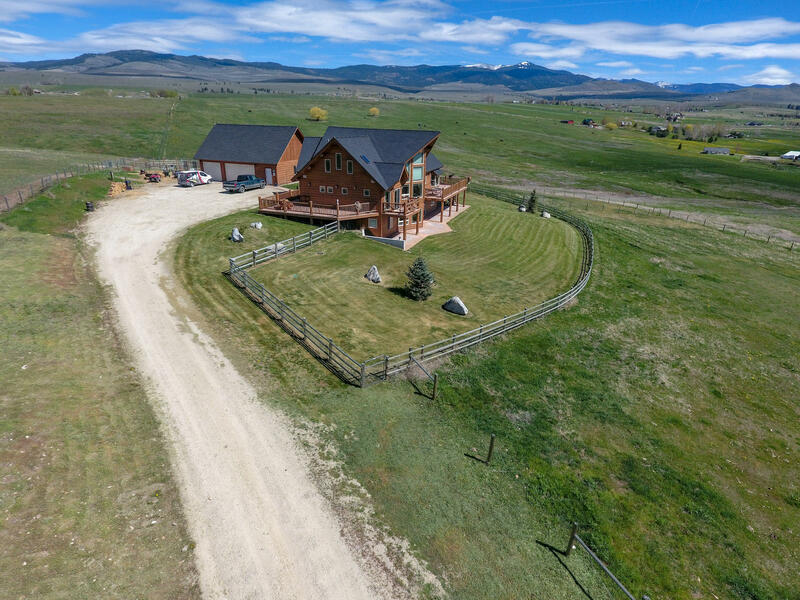 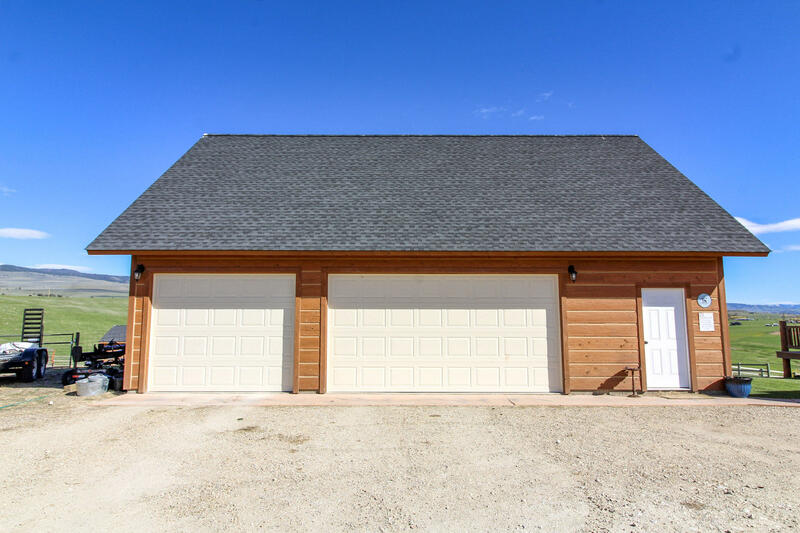 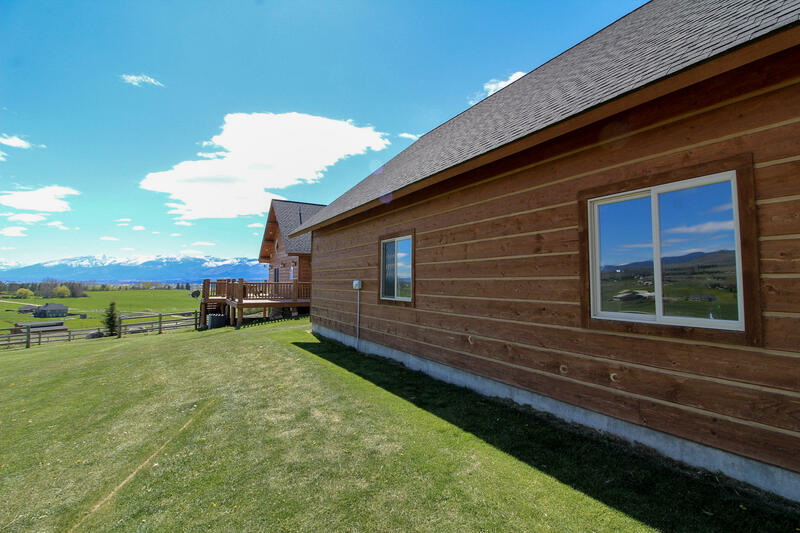 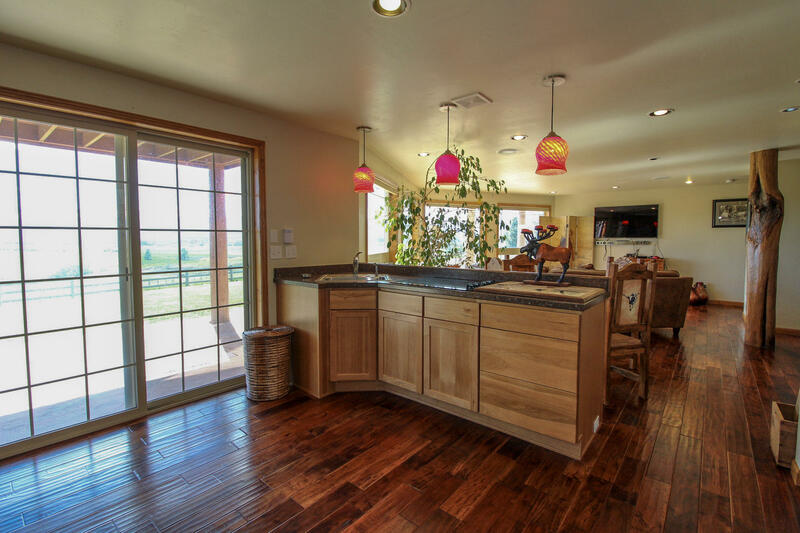 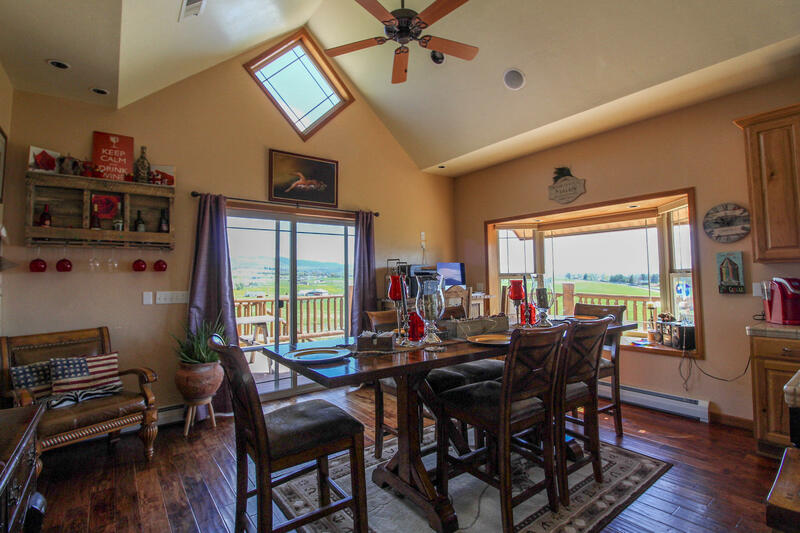 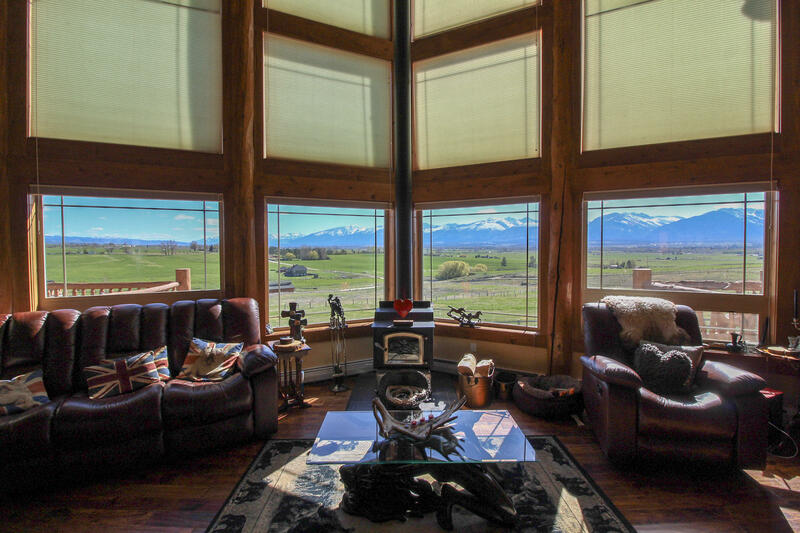 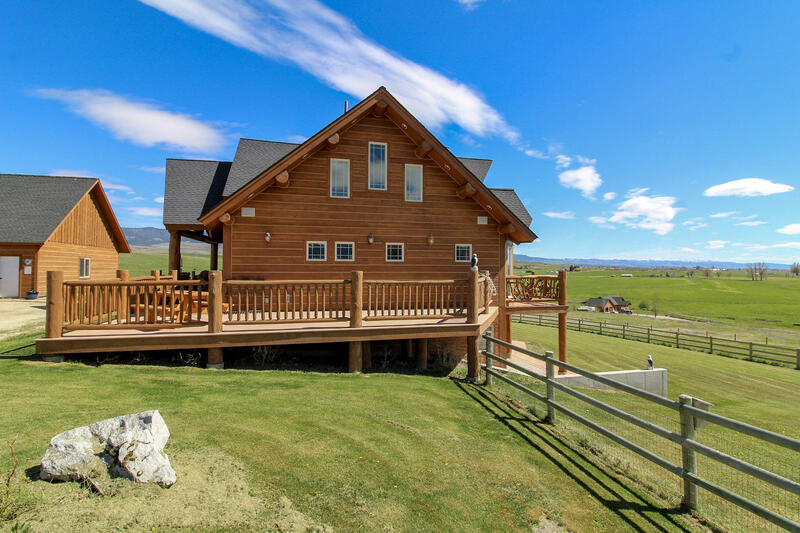 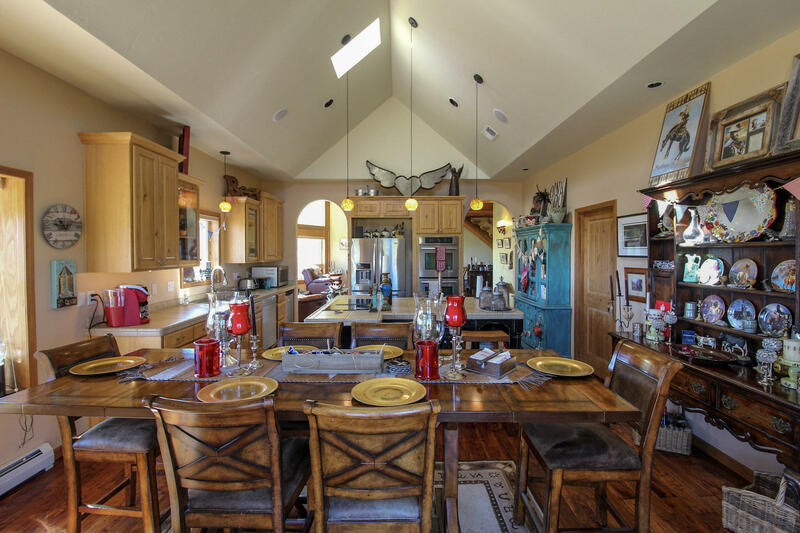 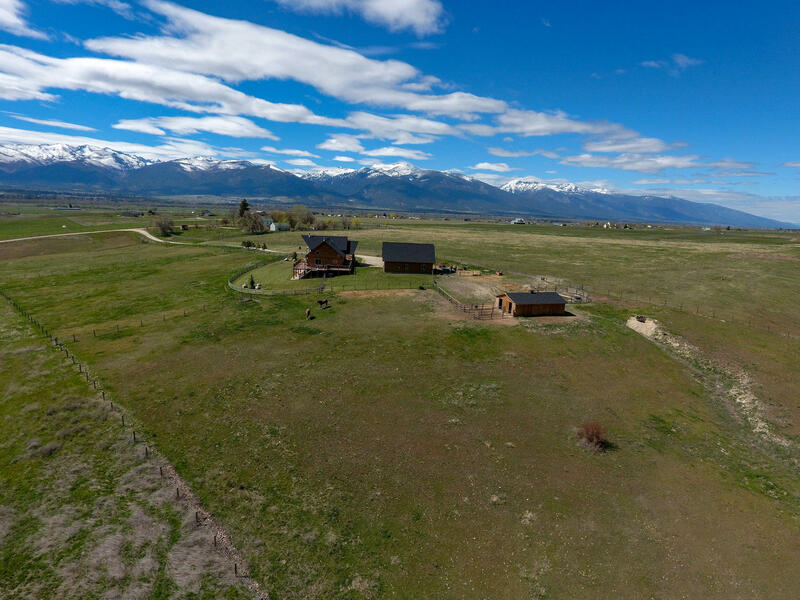 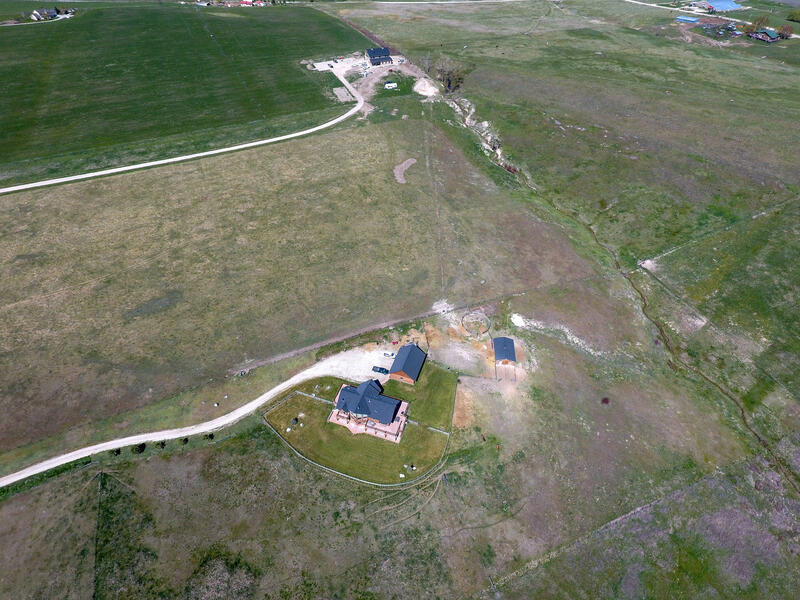 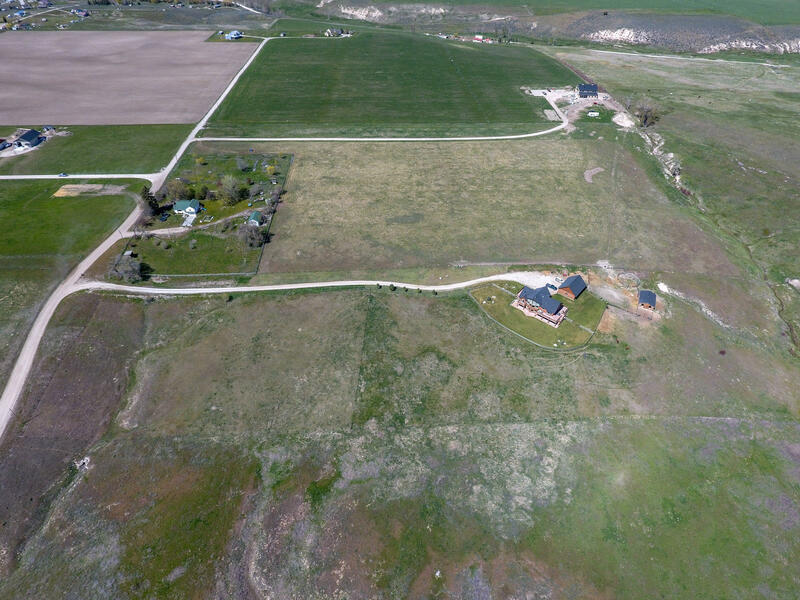 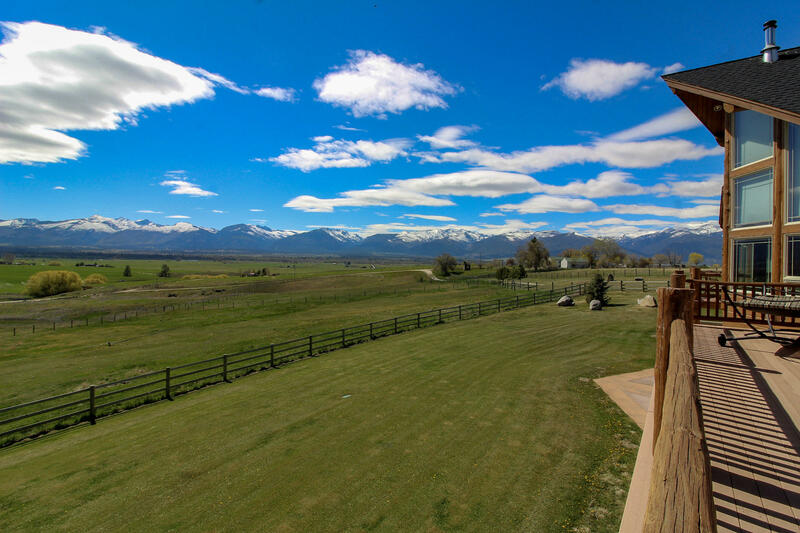 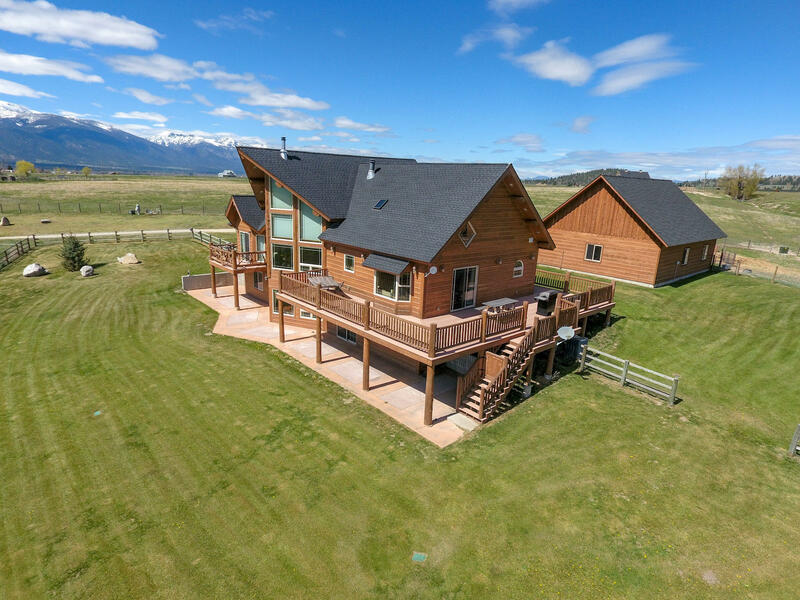 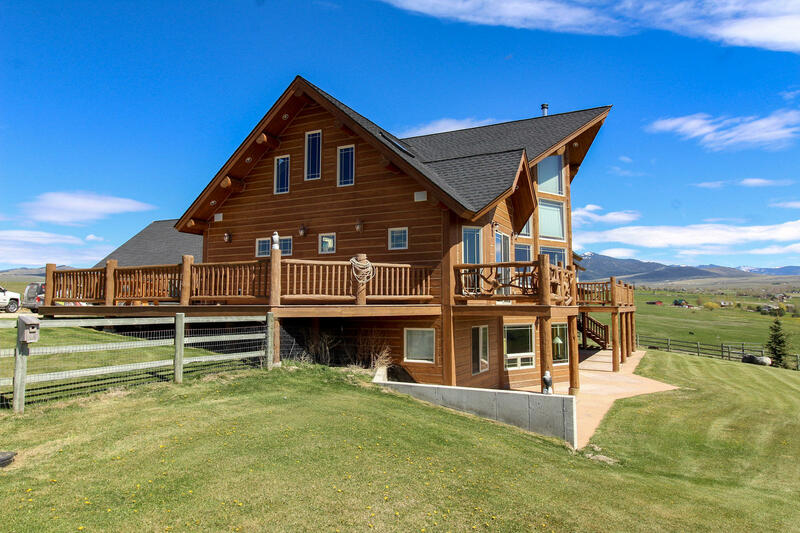 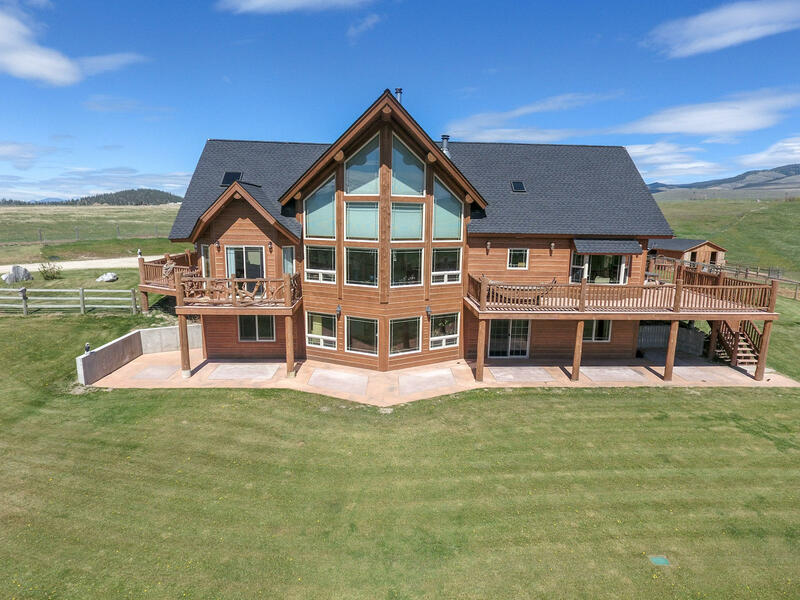 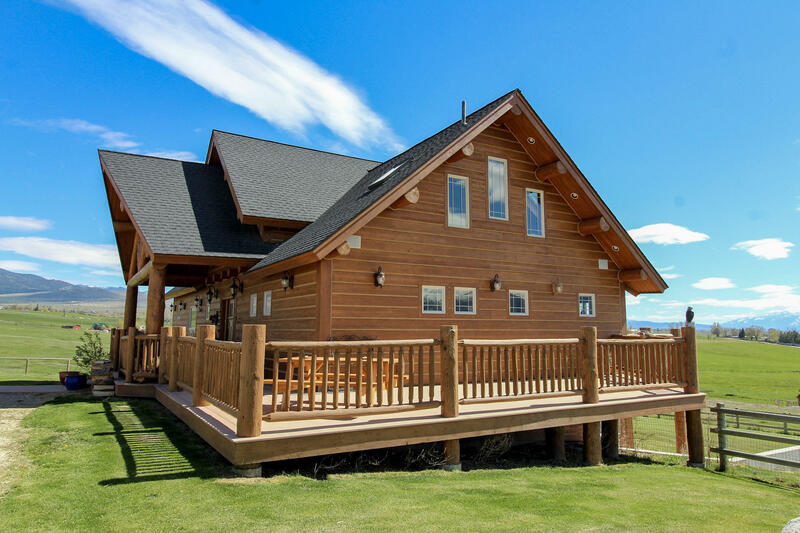 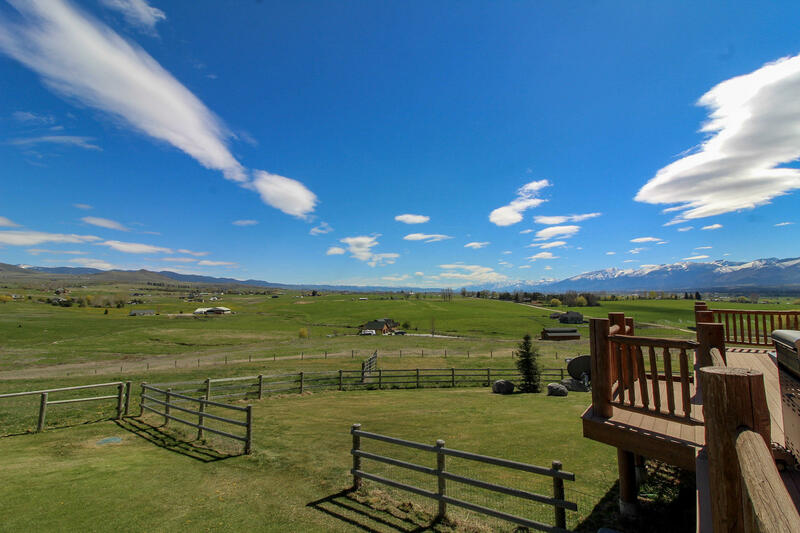 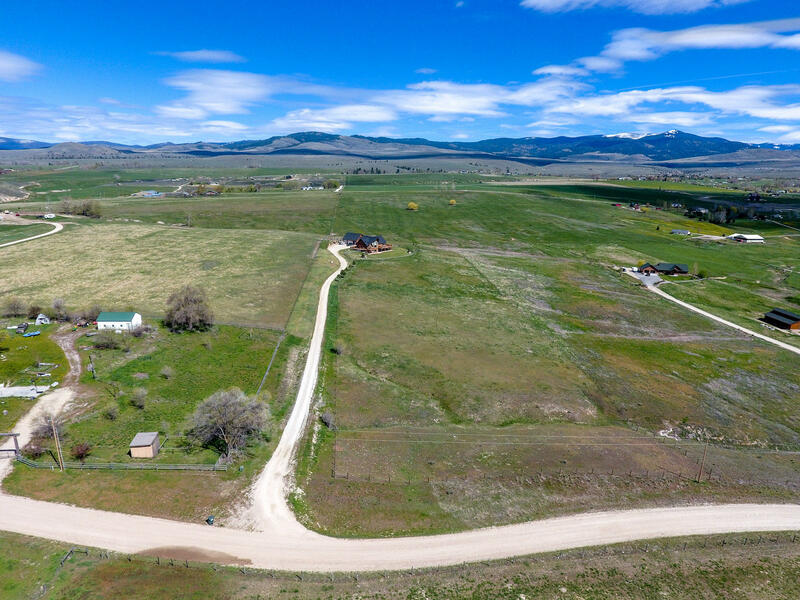 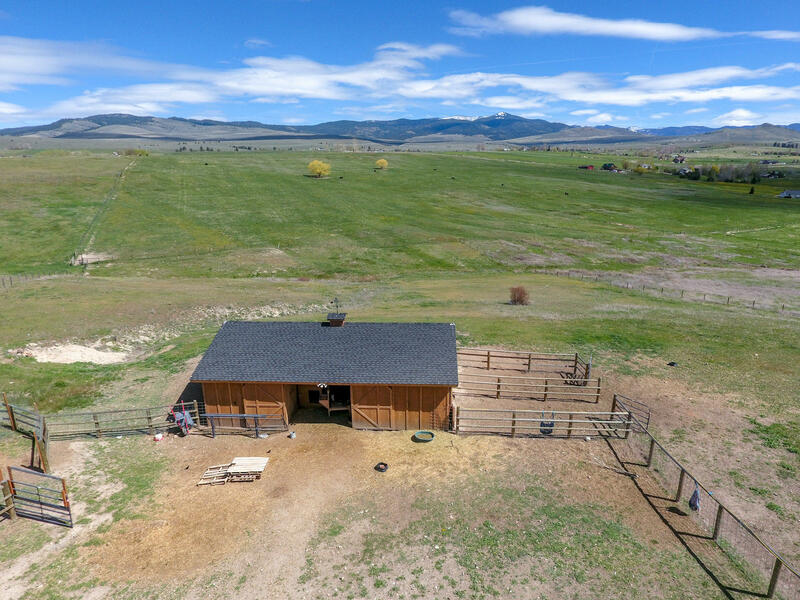 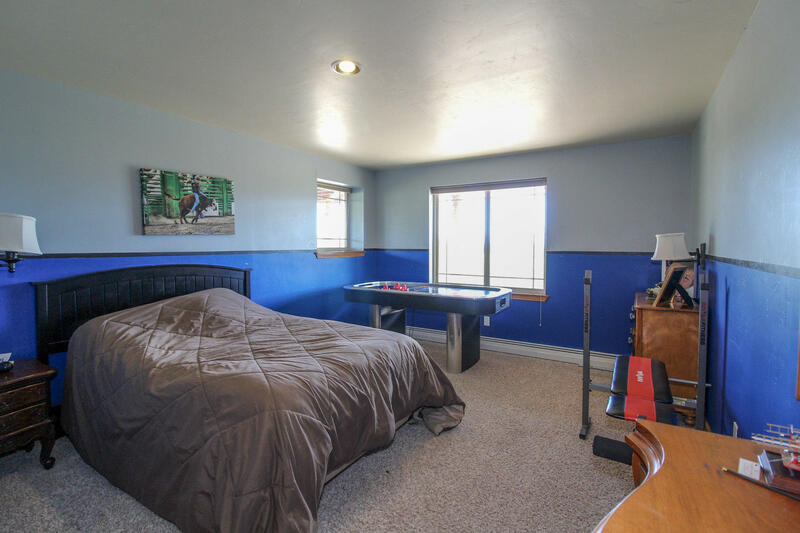 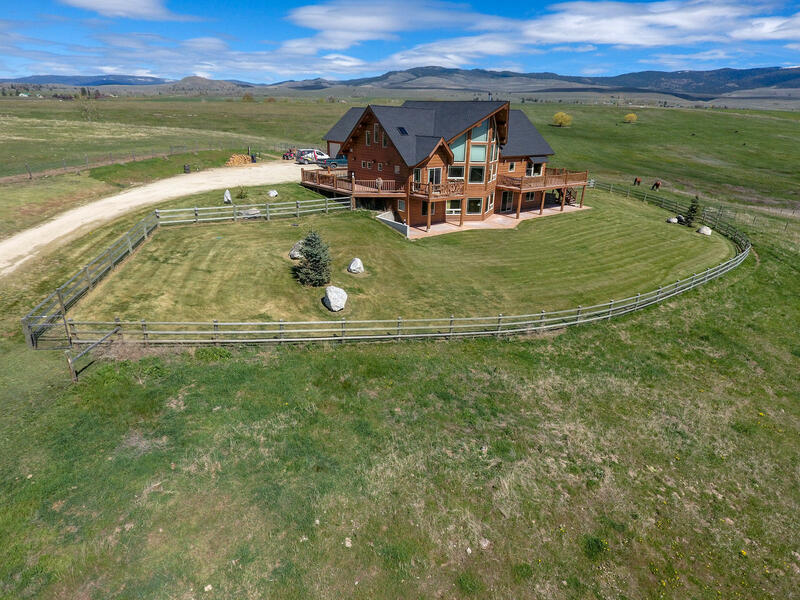 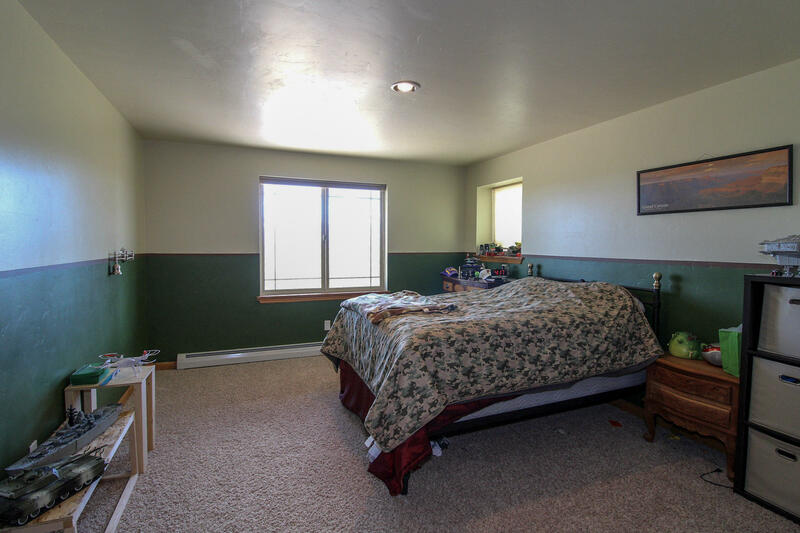 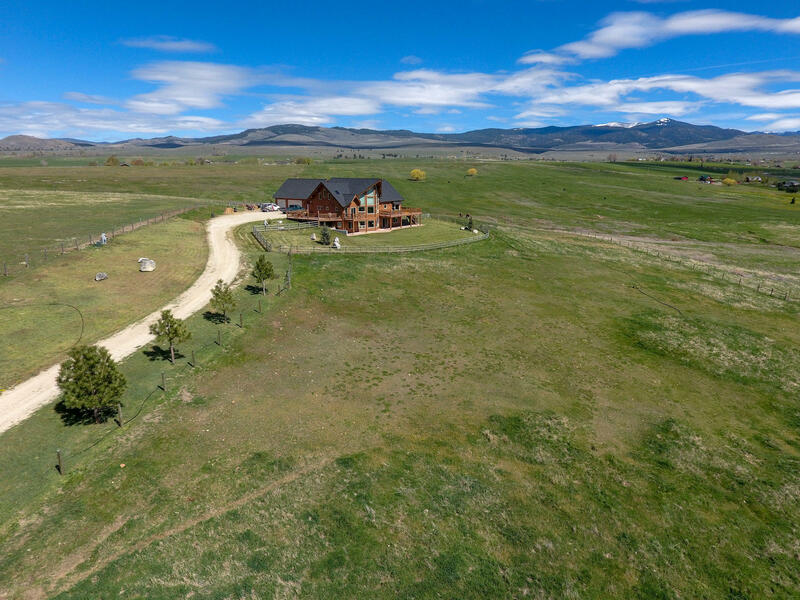 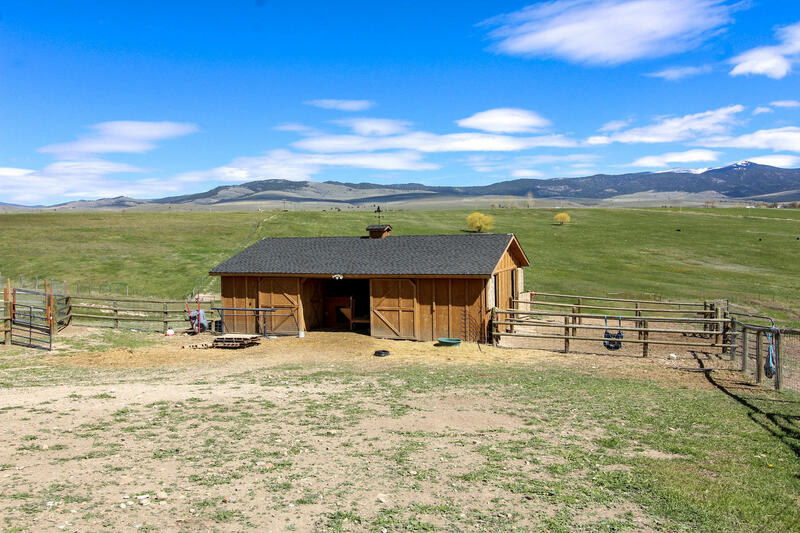 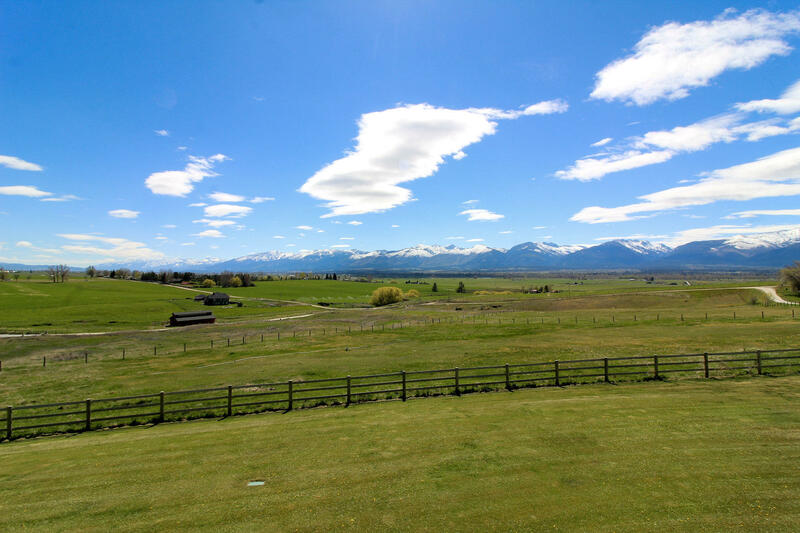 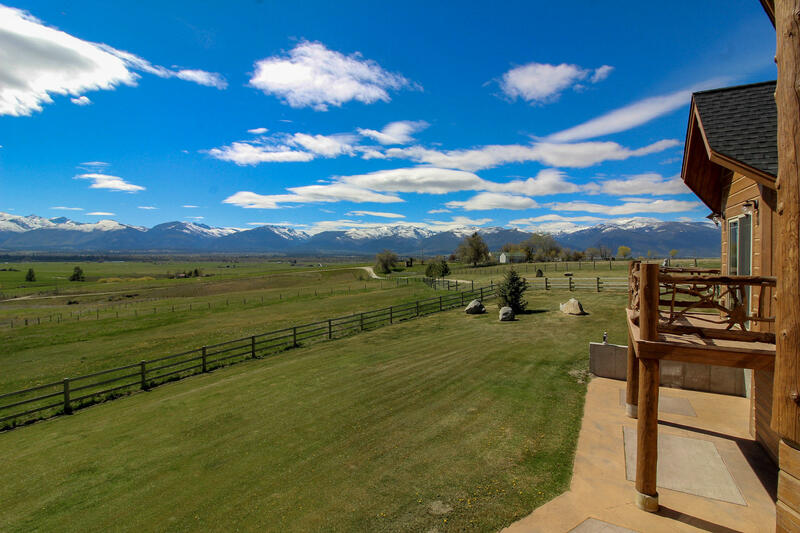 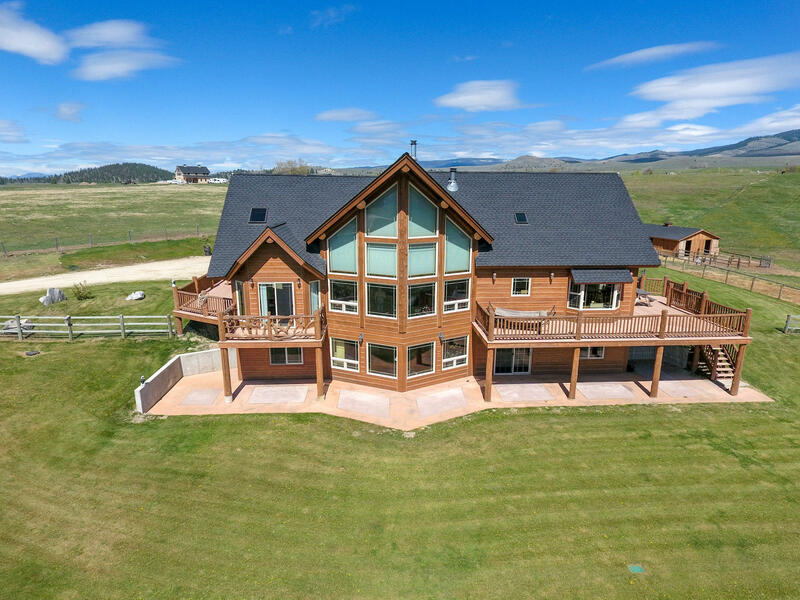 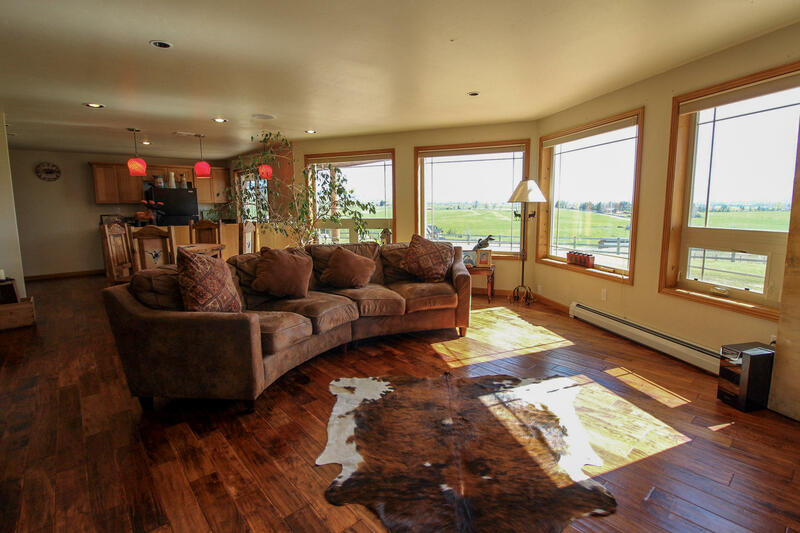 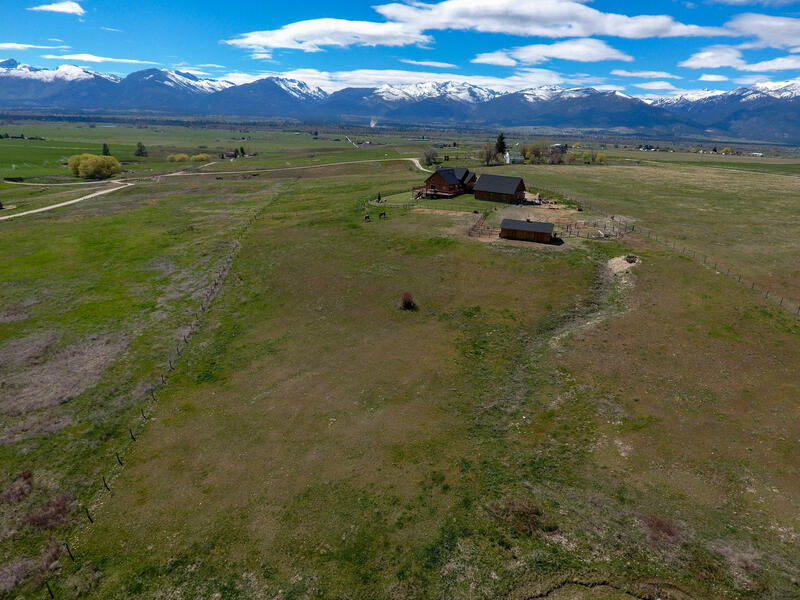 With over 3700 square feet, this open floorplan, 3 bed, 4 bath home has a stunning front deck and entryway which opens up to a magnificent great room that overlooks the majestic Bitterroot mountain range. 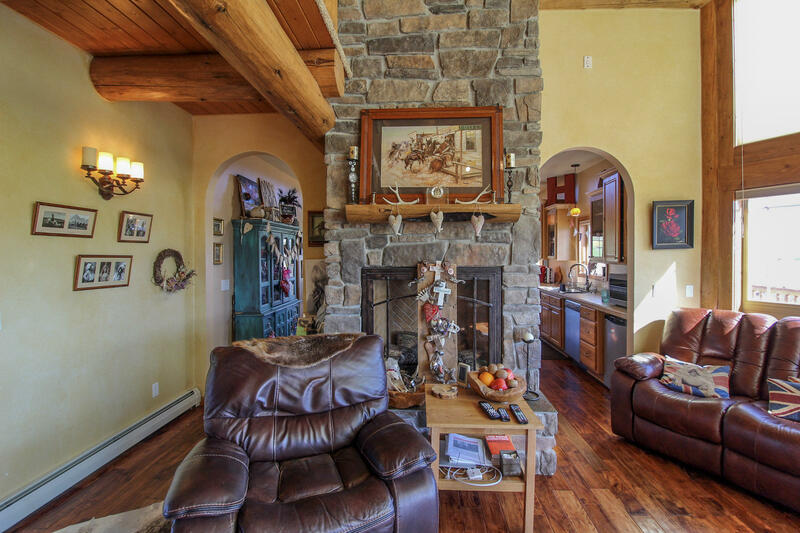 Rock fireplaces soar from floor to ceiling, and the timberframe log accents throughout, add to the rustic Montana feel. 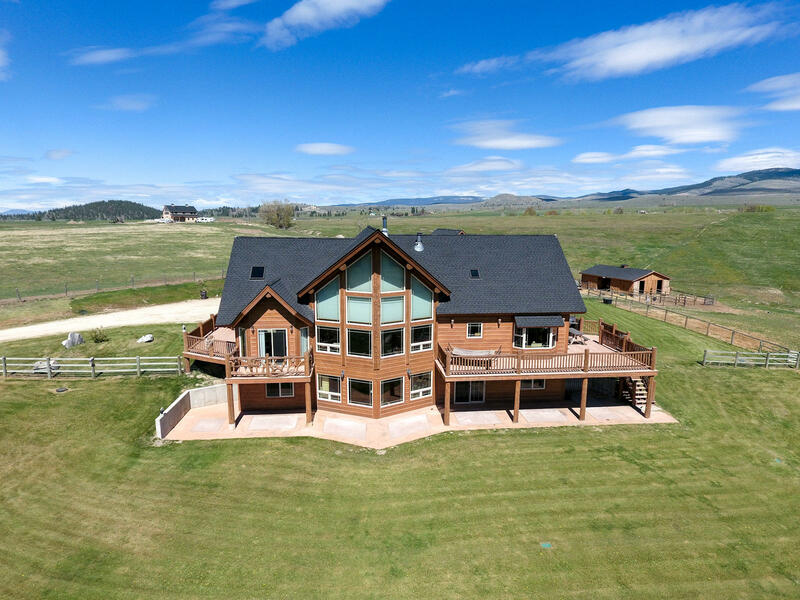 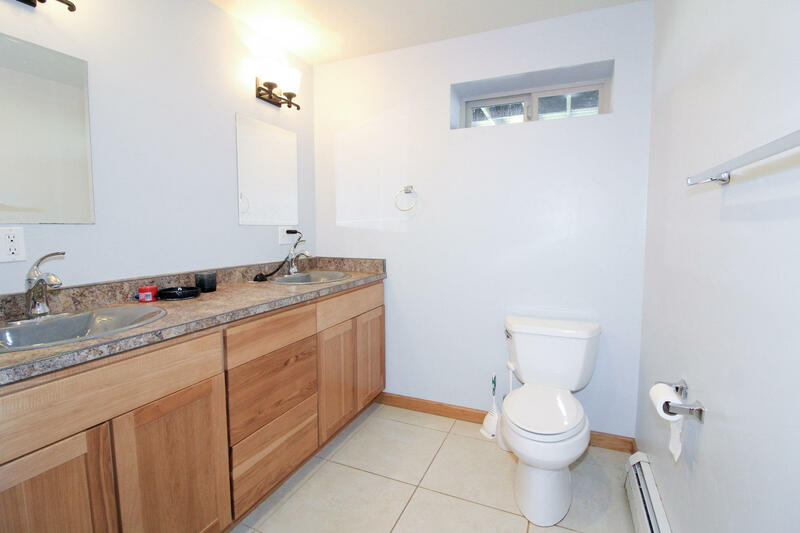 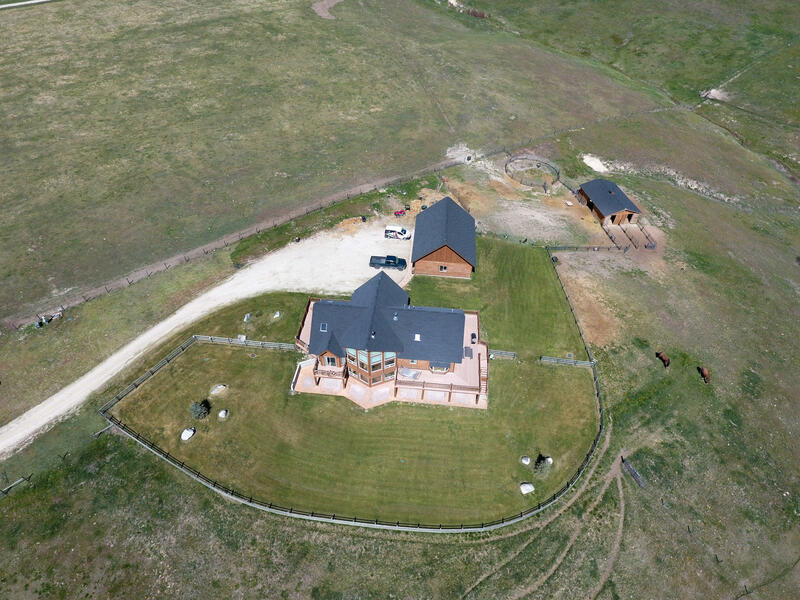 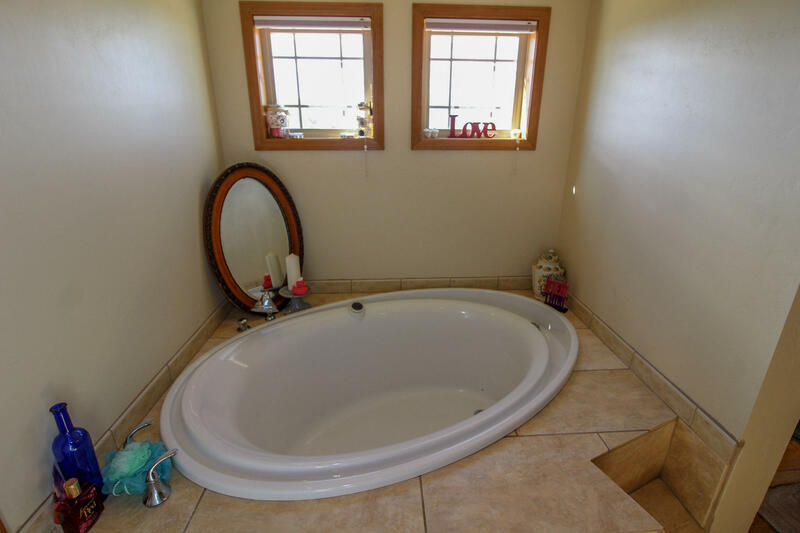 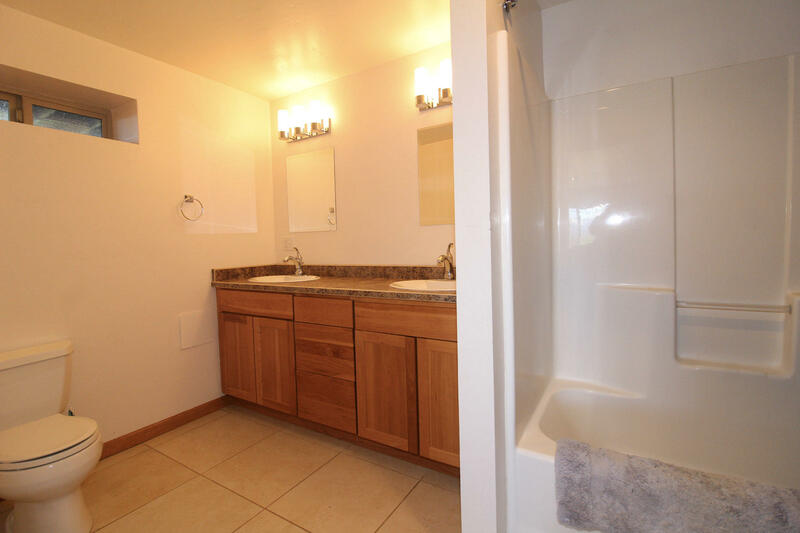 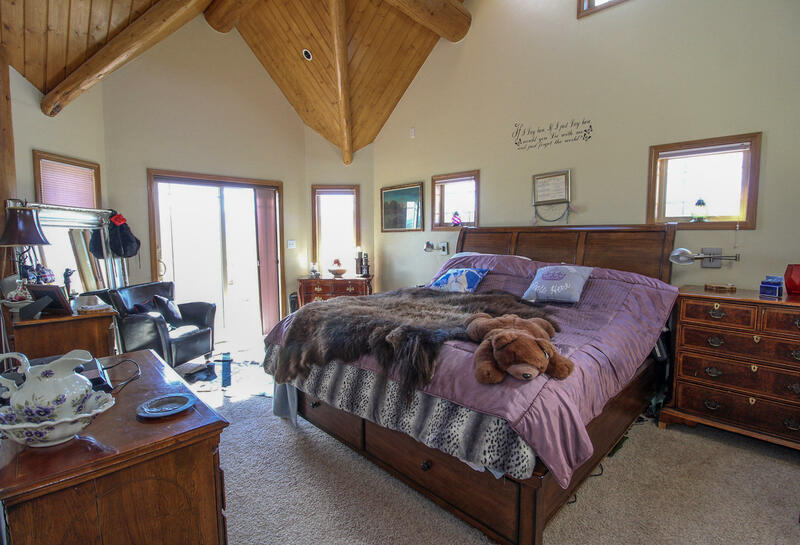 The main level consists of library or office area, open feel great room with intense views, master suite with dramatic vaulted ceilings, walk in closed, master bath with jetted tub, kitchen, large pantry, and dining area. 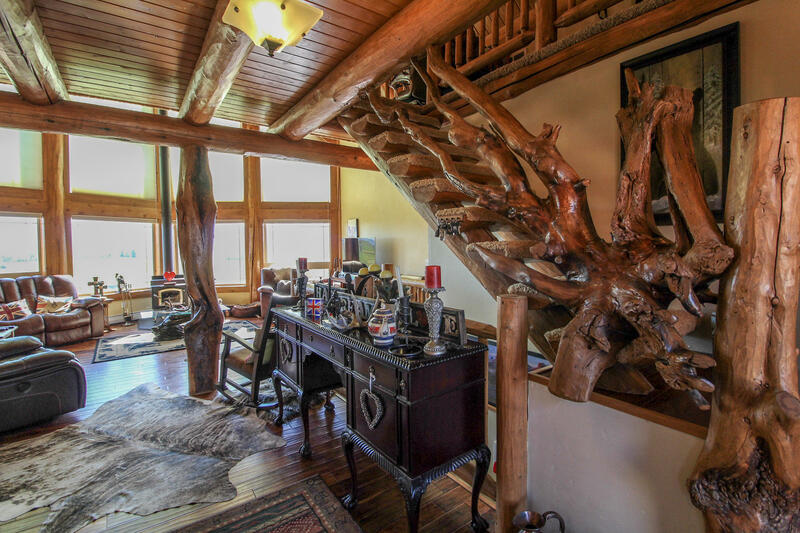 Custom log work throughout. 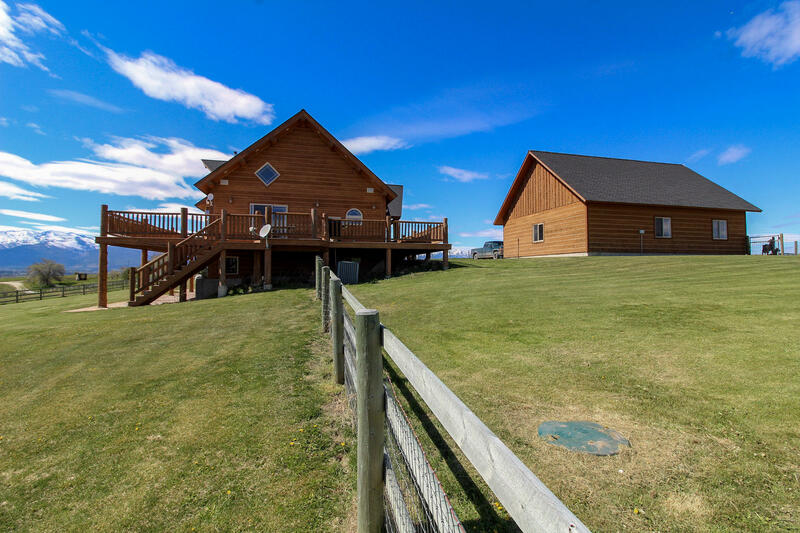 The walk out basement has two large guest suites with en suite baths, additional living area, second full kitchen and a theater room!